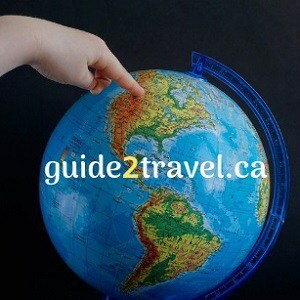 Welcome to the online travel magazine and blog published by Linda Aksomitis & David Aksomitis. They spent the ’80s on snowmobile racetracks across North America, where they developed a love for excitement and adventure. From speed events to the history of machines (agricultural to military), and hiking trails to castles and national historic properties, you’ll find your next bucket list adventure here with them and guide2travel’s contributing writers. Just choose a location from the sliders below to begin exploring. South Haven, Michigan, a harbor town on Lake Michigan, has lots for visitors from the beach to horseback riding to the annual blueberry festival. 5 Things to See in Jefferson City That You Can’t See Anywhere Else! Jefferson City, Missouri, may be small but it’s home to some fascinating historic properties! Find travel adventures as they were in the 1800s on the MIssouri River, in Bismarck, North Dakota, on the Lewis & Clark Riverboat. Fun things to do in Boston if you only have 2 days and love history — from Boston Common to Old Ironsides to a duck boat ride in Boston Harbor! Check out this roundup of 10 of Hungary’s most popular historic sites for visitors, from castles to cathedrals to the Danube River and Buda Hills. Monaco may only be 2 sq km in size, but it has a lot for visitors from driving supercars and watching F1 racing, to visiting the palace of wealthy royals. There’s lots to do on a Prague weekend getaway, whether you want to explore 10th century Prague Old Town or visit the Beer Museum! Discover the best things to see in Stockholm Old Town, or Gamla stan, with its medieval narrow cobblestone streets, historic buildings and gates, palace, parliament buildings and more. The Army Museum in Stockholm, Sweden, is a free museum that showcases six centuries of military history in Europe. With dozens of life-size exhibits and historical scenes, this army museum is both educational and entertaining. The Arsenalen tank museum outside Stockholm, Sweden, is home to many military vehicles all owned by the Swedish Government. Artifacts in this collection of machinery of the past are up to a century old, including rare tank and vehicle prototypes. Has about 350+ military vehicles with about 75 displayed at a time. Spain is a popular destination for its many historic places. This round-up, of 8 destinations for history lovers, provides a guide to help you get started exploring historic buildings of Spain and the cultures that have thrived in the country over the past centuries. Take the 20-minute Orlanda Express to Central Station and start your visit to Stockholm exploring this historical building and beautiful location! These are the best pierogies I’ve eaten! Try them at Lunch Bar TU in Krakow, Poland — they’re perfect to celebrate World Pierogi Day! Check out the history of the pierogi that we eat worldwide. From the nearly 200 year old Kurhous in Germany, to James’ Bond’s “Casino Royale” in Monaco, the world’s casinos are fascinating! These tropical island destinations offer great vacations from historic forts to nature reserves to safari adventures. Welcome to the online travel magazine and blog published by Linda Aksomitis & David Aksomitis. They spent the ’80s on snowmobile racetracks across North America, where they developed a love for excitement and adventure. From speed events to the history of machines (agricultural to military), and hiking trails to castles and national historic properties, you’ll find your next bucket list adventure here with them and guide2travel’s contributing writers. Just choose a location from the slider below to begin exploring.